I presume Whitstable has been part of the City of Canterbury district since 1974? Has it always been in this constituency? Yes, Whitstable has been part of the City of Canterbury district since 1974. Before that City of Canterbury was a County Borough on its own, but it didn’t even get a Parish Council. It is a pity the County BOrough was ever abolished. Whitstable has I think been part of the Canterbury contituency since 1918, before which Canterbury was a Borough seat on its own and Whitstable was part of the old St. Augustine”s seat. There have been redistributions elsewhere in the seat and in particular Herne Bay has at times been part of a Thanet constituency. Anthony, you might check the profile for this seat in that Canterbury Christchurch University, in the centre of the City, is now comparable in size to University of Kent. There are other institutions including a campus of the University of the Creative Arts. Canterbury now has more students in relation to its total population than anywhere else in England. The student population is comparable to that of places like Nottingham and Liverpool. The preponderance of students is increasing, not leat because of the closure of the baaracks. The Tory government has heavily asset stipped Government lanad here, also closing and sellinf off the prison. In terms of population, Herne Bay is actually the largest community in the area of Canterbury City Council. There are major tensions between Canterbury, Whitstable and Herne Bay at the level of local politics. For clarity, I do of course realise that Herne Bay is in North for Westminster purposes. Canterbury has often, and notably in 2001, been won by the Conservatives because of the split between the Labour and Conservative votes. Given the current state of the polls this is likely to be the case at the next election. However, one might comment that the description of this seat as “safe” belies the fact that the majority is now smaller than several seats in Kent which the Conservatives gained from Labour at the last election. Typo. For “North” read “North Thanet”! Maybe this will be one of those seat where, as soon as one party becomes the clear challenger, it then collapses & the Tories will keep winning on a split opposition vote. I don’t agree with that all. The LDs won’t collapse THAT far. Nor are UKIP likely to get as much as 15% in this particular seat. I do at least agree about the winner. 🙂 At least you had a go, though. …nor do I think that the Tories will go up 4%. I expect the LDs to lose votes to all of UKIP/CON/LAB/GRN hence the low LD score. The 4% CON increase could come from some LD/CON voters who regret voting LD last time. 0 for the Greens when they achieved over 2% last time on a 1% national average- they are expected to get 3% nationally in 2015 and some LD voters as well as a very small number of small c conservatives will prefer the Greens over Labour to send a message to the Tories. I’d be very surprised if more than a negligible number of Tory voters come over to the Greens. I suppose it’s possible that a few might if there was a particular issue in a particular constituency but it will be very small numbers. I think the minor parties will increase slightly at the next election due to some disillusion – but I still believe that when push comes to shove, most of the electorate will feel they have to vote for a party that could realistically take power, or at least be involved in government. Maybe you might like to comment on a variety of topics rather than just one. How well the greens might do in 2015 is a mildly interesting issue in a couple of seats, though everywhere else it is pretty much an irrelevance (including Canterbury). I think we can all agree that you’ve done it to death. There is perhaps only so much mileage in debating whether Greens will pick up 2% or 3%. How about the BNPs performance in some of its strongest areas or the english democrats for that matter? I think you guys are being unfair on windsofchange. This is after all a website to debate polls and how those polls affect election results. Everyone is entitled to bring their own perspective on things, just so long as they aren’t being overly partisan and libellous. While some posters on here do resemble a broken record at times, the input of many different posters from across the political spectrum should be welcomed. If they aren’t welcomed, then this site could become little more than an echo chamber for a handful of people to talk among themselves. So what if some people are ‘single-issue’? It brings something different to the discussion and makes us all look at the numbers and political situation in a different way. They may not be right, but no-one is all of the time, so we should just welcome the discussion and wait and see who is right come 8th May 2015. It’s a legitimate topic for discussion. However it can be overdone. I would think the same if there were constant discussion as to whether Labour gained 5 or 7% in, say, Barnes ward in my own constituency. In the end, we’re not in the game really, and in all but 1 or 2 seats the Greens aren’t either. If the Greens surged by 6% in every seat Labour needs to win, and thus the Tories or LDs won them all, then it would certainly be of vital importance, but as it is it’s rather incidental. I have only time to make a brief comment at the moment. However, I would like to point out that in this seat, which has a very large number of students, when you try to predict a 2015 result you are trying to guess the voting patterns of very many electors who are not even here yet. Predictions need to take into account the volatility of younger voters. Many sixteen (eighteen in 2015) to twenty year olds have not formed their political opinions yet. The signs are, not least from local election results here, that the student vote is swinging towards Labour and perhaps against the LibDems. I am afraid there is no particular reason to think that the Greens will do well here next time. The 2010 result was a disappointment for them and more than one serious Green campaigner who has put major effort into this seat has moved on. As things stand, the Greens would be lucky to get more than five per cent, much as I would like to. Other somewhat similar seats are good ground for the Greens and I am somewhat at a loss to understand why substantial Green effort in Canterbury has not been more rewarding for them. James Flanagan has been selected as the Lib Dem candidate. The Libdem candidate at the by-election was the only one to stand in 2011, one he polled this most votes for their slate. The Knetish Gazette rports that the new councillor moved to Canterbury from New Eltham in 2011. He was a salesman for British Gas for 33 years before they were privatised. he is 68. Note that the students are returning to University of Kent, so the election was held out of term. So fr as I know Seaslater, on the outskirts of Whitstable, is not a particularly student-stuffed are by Canterbury standards, but in most areas of this constituency local election results are likely to be affected depening on whether they are held in or out of term. Incidentally, there is an interview in the Gazette this week with the leader of the LibDem group on Canterbury City Council in which he claims to be a socialist. (page 10)!? The University terms here started last week, which means that well over five per cent of the electorate for next General Election in this constituency (on my rough estimation) have just arrived. Two bits of news about this seat. Firstly, City Councillor David Hirst, a former Tory who had become an independent, has joined UKIP. Clly Hirst represents Greenhill and Eddington Ward, which I think in Thanet North, but with two councillors on the City Council UKIP will be able to propose and second motions. Secondly, the Gazette this week is reporting a public meeting on democratic awareness with prospective parliamentary candidatees at which the 2010 Money Reform Party candidate, Anne Belsey, was present. it would be nice to think that the Money Reform party might stand again (I might have to changed my habit of changing my vote each General Election), but there is no other sign of Money Reform Party activity here, without which I fear that there is unlikely to be a big swing in favour of the Money Reform Party. P.S. The City Council is consulting over traffice in St. Dunstans, which is a big issue here and indeed is the issue over whichCouncillor Hirst had the Tory whip withdrawn, even though St. Dunstans is nowhere near Herne Bay! A further point about UKIP. Their problem is that over a broad sweep of the country they appear likely to increase their vote substantially without doing outstandingly well anywhere. They might get 25% of the vote in tens of seats without actually winning any. That said, if UKIP win anywhere it may be somewhere quite unexpected. UKIP’s vote appears to be comparatively impervious to tactical voting and they could win somewhere the other parties are too busy fighting each other to notice UKIP. Much of this seat is unfavourable ground for UKIP because of the large student and middle class votes. But on the other hand some other parts, notably the Whitstable and Herne Bay coast, are demographically favourable to UKIP. They are also benefitting from a “Halo” effect from UKIP campaigning in Thanet and Folkestone. If the Conservative, LibDem and Labour votes here split more or less evenly, which would not be implausible if the Conservatives were losing votes to UKIP, it is possible to imagine a UKIP vote of around 20% across Southern England, with the added “halo” effect I have just mentioned, being enough to get them in here. It isn’t probable, but it isn’t massively unlikely. If UKIP were to win here, it would be highly divisive. Enough people are already fed up with the Conservatives winning on a vote consistently less than 50%. People with a sense of history will remember that an Independent Conservative won this seat in December 1910 on a split right-wing vote. 35% of the vote could easily win this seat next time. I am not a great fan of unexplained percentage forecasts now predicting for 2015. There is too much to happen in the meantime. However, this seat persisitnetly sees tactical voting, mainly between Labour and LibDems, and combining that and the university loans LibDem debacle in 2010 I think that the LibDems will have difficulty in hanging onto second place here. if the LibDem and UKIP figures ib A.Brown’s prediction were transposed I would be less than astonished. The “Other” vote here is almost entirely Green. As previously discussed, they will be hard pressed to get 6% next time, however much one wishes otherwise. Equally sadly, there is no sign as yet of a massive surge in Money Reform Party fortunes. I imagine the tory vote is pretty hard here – even though there are large pockets of non-tory voters, I imagine those who do are pretty solidly blue. As in many places, the Tory vote is aging. There is still an element of the Church Establishement identifying with the Conservatives. Closure of the Barracks and the prison have probebly not done the Conservatives any good, although they are perhaps hoping to gain votes from the commuter houses the Government is forcing Canterbury to build. The student vote here is probably more right-wing than in many places. Pretty sad to be dependent upon the prison for votes! The tory vote is always and will always be aging! I guess the question really is how well will the Lib Dems hold up? The closure of the barracks is a more significant issue than that of the prison. Julian Brazier is very much a defence specialist these days, focussing his work at Westminster on his membership of the Defence Select Committee. Disappearance of the military vote won’t help him. According to the “Kentish Gazette” Labour has selected Hugh Lanning as their prospective candidate. Hugh Lanning is 61, a former senior trades union official (Deputy General Secretary of the Public and Commercial Services Union) and Chairman of the Palestine Solidarity Campaign. He lives in Whitstable. In a constituency with a huge student vote, one might ask what he is going to do to take the Labour movement forward, rather than be a representative of a well-embedded Labour establishment which is now a long way behind in this area. Regarding student vote, I’ve often wondered how many students vote in the place they’re studying and how many vote in their “home” constituency. The one General Election I voted in whilst a student (1997) I voted at home (Brentford and Isleworth) rather than my uni constituency (Bristol NW I think it was). When I was at Sussex University I acted as a sort of unofficial adviser to Labour voters on the campus as to where they should most effectively cast their votes. Most took my advice but a fat lot of good that did. One member of the Labour Students insisted on voting in Brighton Pavilion even though she could have voted in Hornsey & Wood Green, though it turned not to be crucial. I myself voted in the former constituency. As it happens my parents for different reasons were able to vote in that constituency in 2005, on that occasion successfully – I think it’s the first (and so far only) time they had ever voted for a winning candidate in a general election, since they were Communist Party members before they moved to Richmond & would have voted for that party’s candidates. My only winning vote in a general election came in 1992 when I voted for Ron Leighton in Newham NE. Sorry, I meant to say that the general election in question above was 1983. In answer to Jason, I don’t have the numbers but I believe students who actually do bother voting actually tend to use their home constituencies. But don’t quote me on that. When I was at university I decided to vote in my home constituency, just because Labour had a better chance there. Cheers for that. I wonder therefore whether the student impact is perhaps overplayed at times, with possible exceptions where people move to the area to study and never leave. Well if my belief is correct then you’d be right. On Thursday 23rd. March there was a by-election for Canterbury City Council’s Barham Downs Ward. The local paper is drawing the obvious conclusion that the UKIP intervention, taking 18.1% of the vote cost the Conservatives the seat. One might also make the point that Labour, UKIP and the Greens are all concentrating on building up votes in the North of the seat, in Whitstable and Herne Bay. This leaves a gap in the genteel South of the seat, open for middle class Liberals. Looking ahead to the General Election, if economic giveaways result in a swing back to the Coalition, together with a recovery in LibDem fortunes assisted by near equal media coverage during the General Election campaign, Canterbury looks far from out of sight for the LibDems. Remember that the Conservative over LibDem majority here is smaller than the Conservative over Labour majority in nearby seats, notably Thanet South. I am tempted to point out the possible implications of Brazier having been passed over for ministerial office, and the collapse of military interests here that might support him as a backbencher who concentrates on being a member of the Defence Select Committee. However, this local by-election result make one wonder, sadly, if it would actually make much difference if the candidates spent the General Election campaign visiting the Falkland Islands. By the way, for many local people the first thing that springs to mind when Barham is mentioned is that it is where the crematorium is situated. Where students vote will to some extent depend on whether the univeristy is in a marginal seat and also whether the student’s home address is in a marginal seat. For instance, I would suspect that more students studying in Norwich or Brighton vote at their university address than ones studying in Canterbury. I also wonder how many politically active students vote twice, and what checks are done to prevent this. 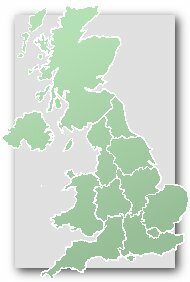 Does anybody know of any students who have been prosecuted for voting in two constituencies on the day of a General Election? The new LibDem Councillor for Barham and his defeated UKIP opponent both had letters published in the “Kentish Gazette” for 27th. March. Whilst coming from different directions, they both attributed the Tory defeat to the poor performance of the Conservatives on Canterbury City Council rather than UKIP’s splitting the vote. The Gilbey regime on Canterbury City Council is also being opposed non-politically by the Canterbury Society, which is collecting signatures for a Referendum to replace the current Cabinet style governance of the Council. Particularly if the LibDems recover in the run-up to the General Election, the cliquish Conservative group on Canterbury City Council could yet become a serious election problem at parliamentary level in what might be better described as a semi-marginal Conservative seat rather than a safe one. Any chance of Labour regaining second place here? If the Lib Dems collapse right back here, I think Labour may well regain second place, but in that scenario, I could see an increased majority for Julian Brazier against the usual split opposition. I do personally believe that the Lib Dems will stay second here though.